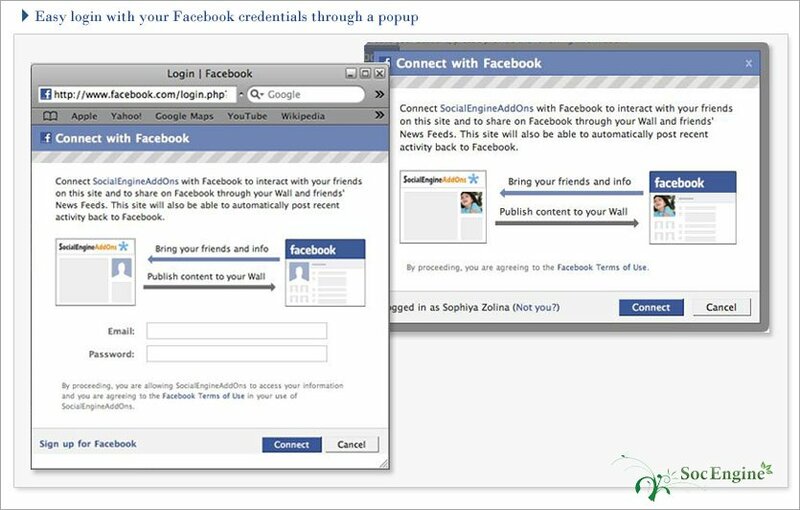 Facebook Connect плагин для SocialEngine позволяет вашему сайту взаимодействовать с Facebook по регистрации. Данный плагин может увеличить популярность вашего ресурса. 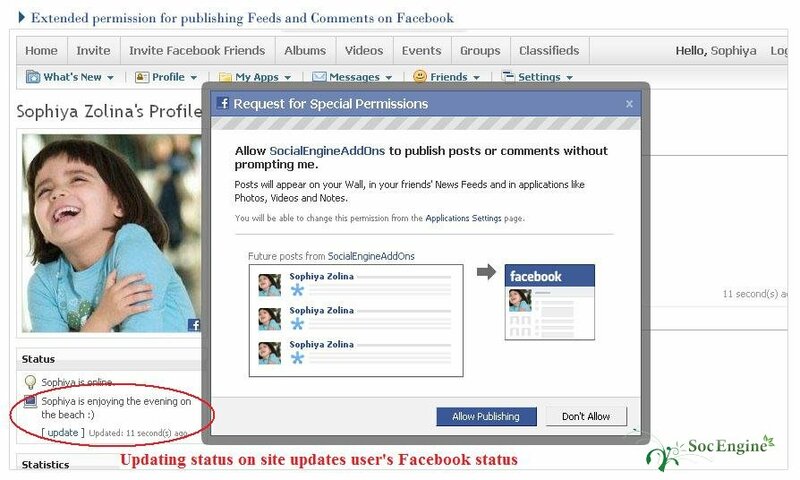 Facebook Connect plugin for SocialEngine enables websites to generate high degree of user engagement and social interaction between their website and the popular social network Facebook, thus leading to increased popularity, increased registrations and growth in traffic. 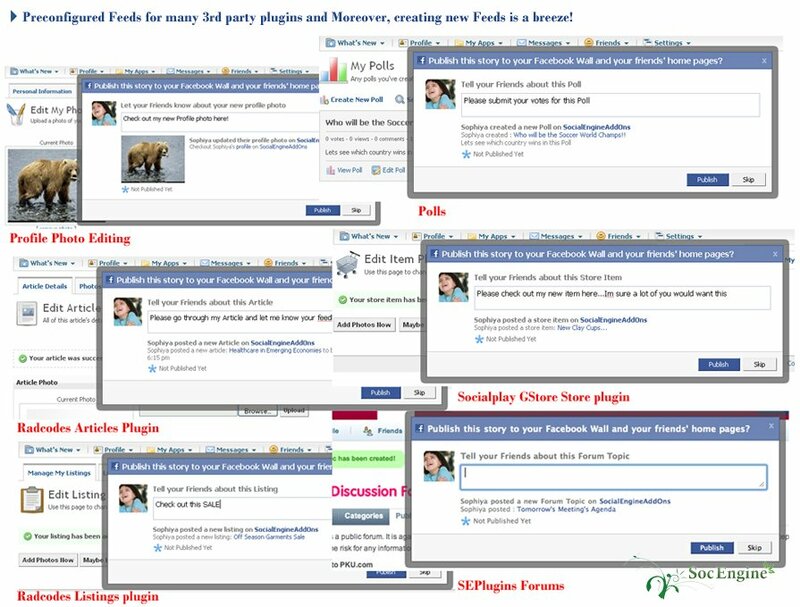 Moreover, this plugin allows websites to get branded without advertising by enabling them to push their content into Facebook's viral channels.